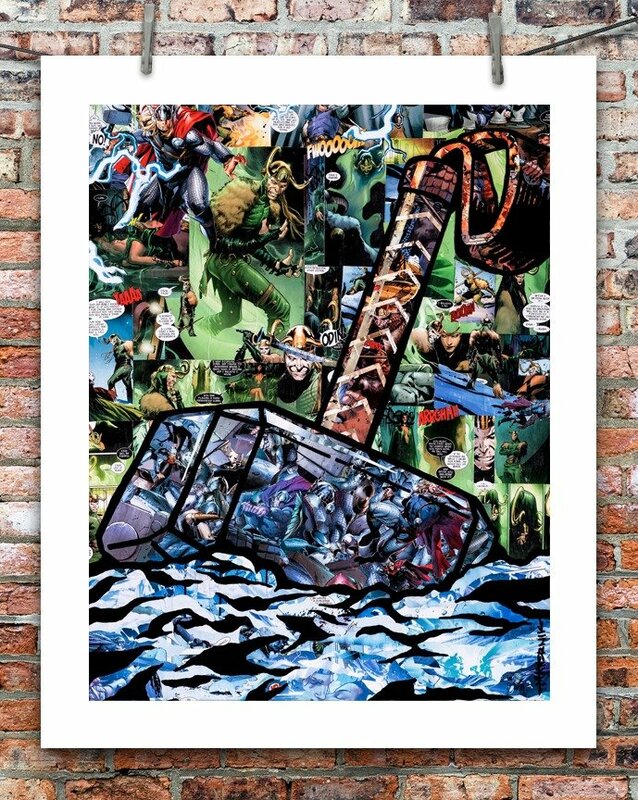 “Worthy,” features Thor and the villain Loki. 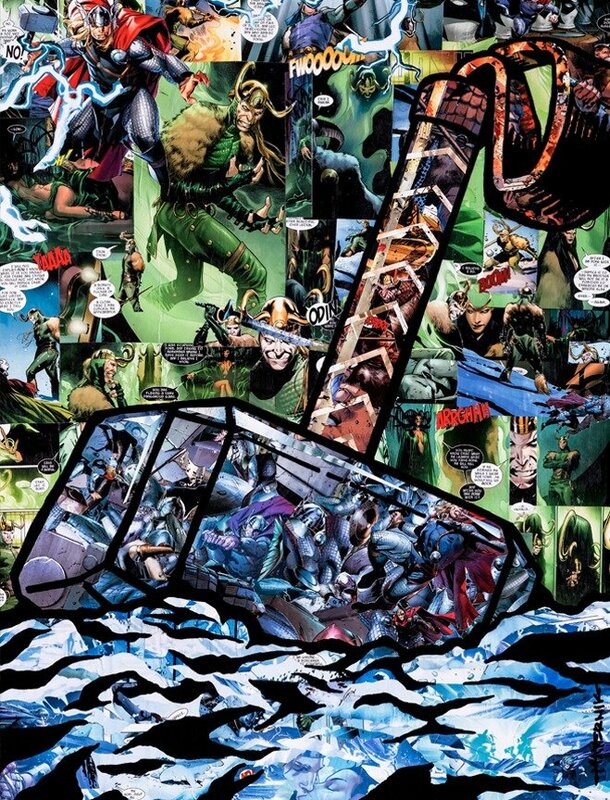 It’s 18×24” in size, and is comprised of only 2 consecutive comics: Thor Vol 3, issue 12 and Thor Vol 1, issue 600. No other comic titles were used.